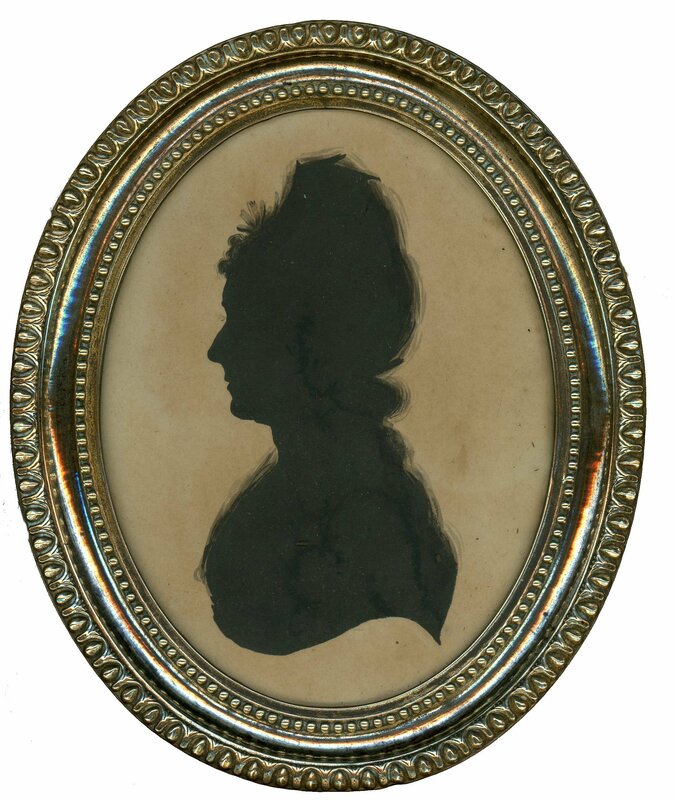 This impressively large painted silhouette portrays the infamous Mary Robinson (1757-1800), actress, poet, and literary figure. She was also mistress to the Prince Regent (later George IV) and became universally known as ‘Perdita’ after playing the Shakespearean heroine in 1779. 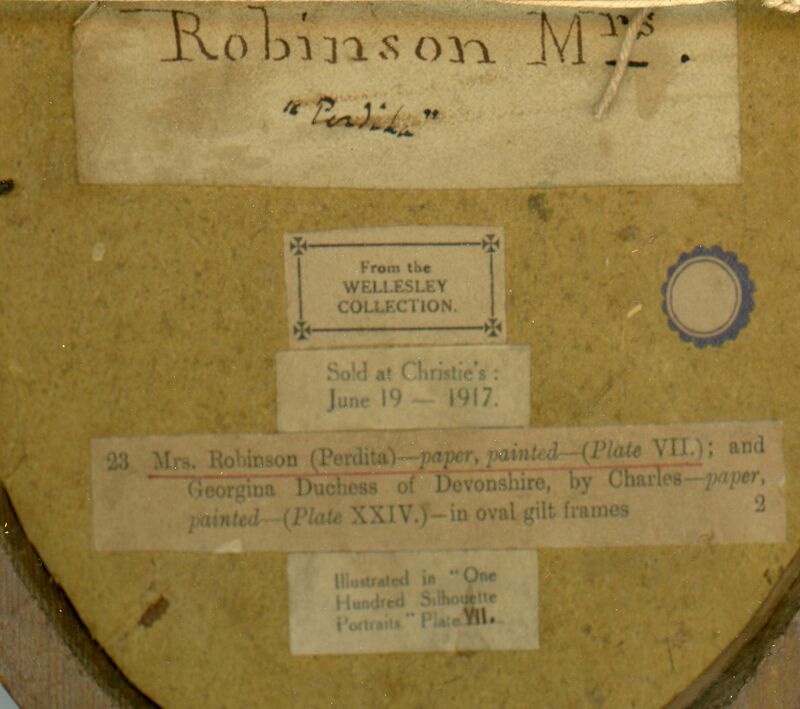 The silhouette is painted on paper and has some browning consistent with age. 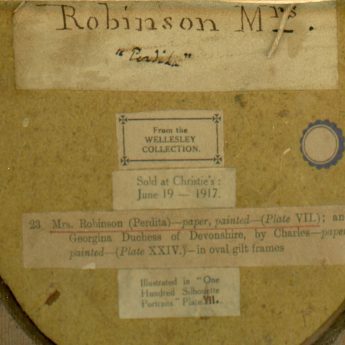 It is presented in the original brass-faced oval frame with an inscribed label and provenance labels reverse.